I recently became a dad to a wonderful, amazing little boy and he is definitely the most loved new addition to my design life. I suddenly started to ask myself why! Who decided that pink was a feminine colour and blue masculine. The marketeers? The branding experts? More so, why is there actually a need for a gender based distinction? At this point my curiosity kicked in and I suddenly wanted some answers. After some research, I found images of babies clothing from the 18th century, showing both girls and boys in white frilly dress style outfits. Many articles claim that It wasn't until the mid 19th century that the pastel colours began to appear, although it seems as though the colours weren't gender specific at this point and in many cases it was pink for boys and blue girls. On other occasions it was blue for blonde and blue eyed babies and pink for brunettes or those with brown eyes. It was't until the 1940's that retailers settled on blue for boys and pink for girls. 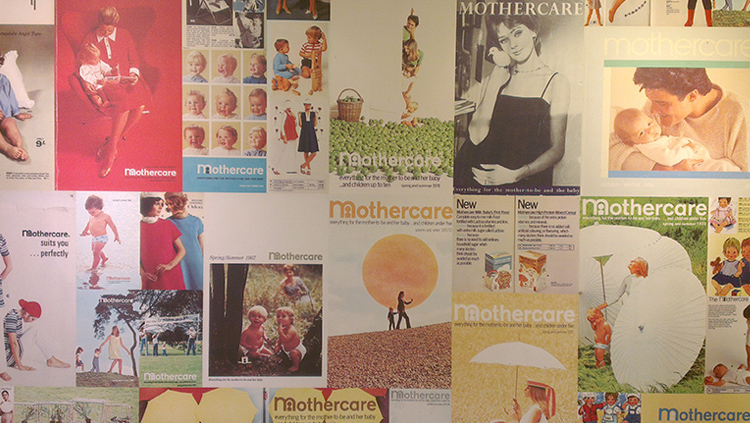 In the 1960's and 70's, trends moved towards more neutral colours, which many believe to be related to the women's liberation movement. The development of parental testing in the 1980's brought pink and blue back as the 'natural' choice for parents to dress their baby's and paint the nursery.